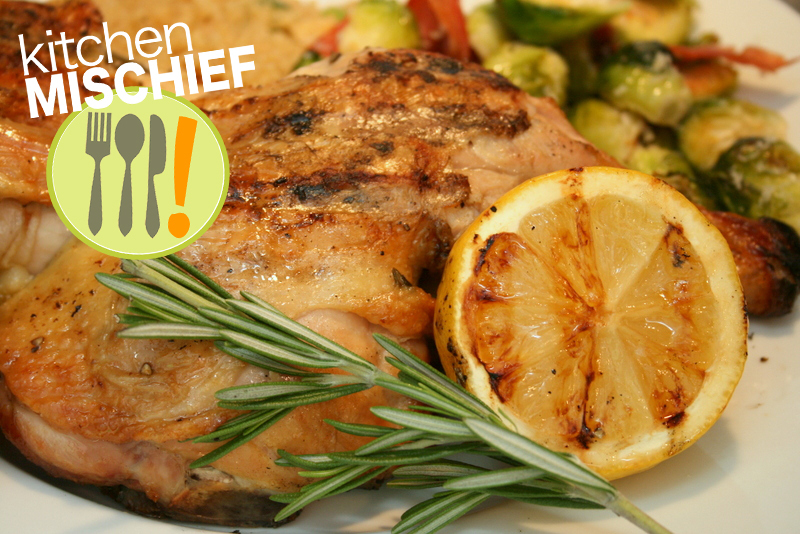 roasted chicken | Kitchen Mischief! Photos by Ray Hydrick. Carnage by Matthew Warren. Josh and I will be the first to admit that we do not like working with a chicken carcass. I can handle pieces of chicken all day long, but washing out a chicken cavity sends me into a gagging spell. 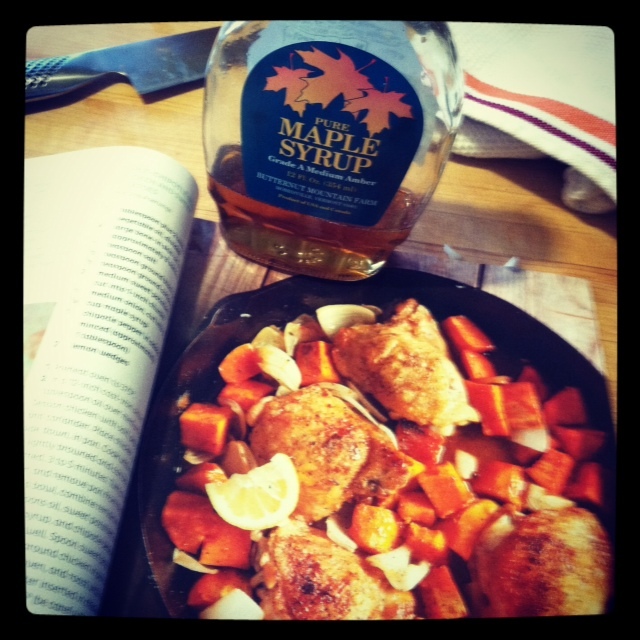 So dear readers, I have taken a deep breath and decided to hold back the dry heaves to make this dish. 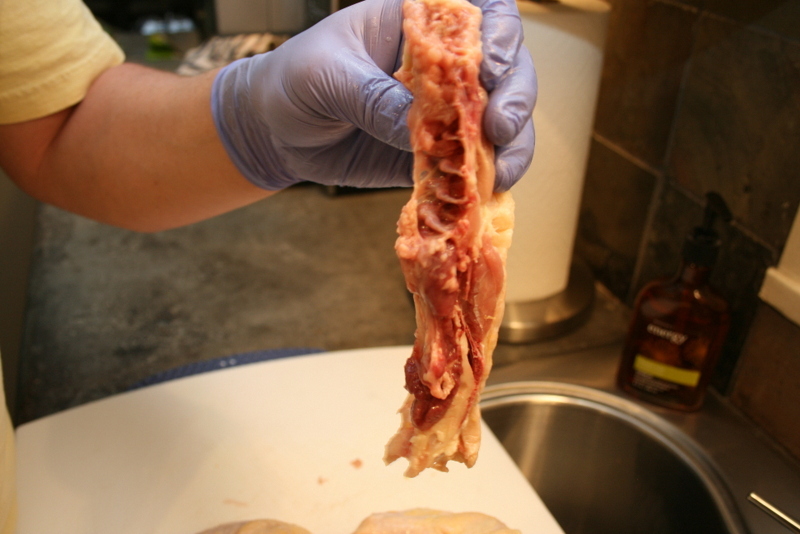 I have watched several shows where they cut the backbone out of the chicken so that it will lay flat on the grill. How does this horrific chicken autopsy help the chicken? Well, have you ever had that problem where the chicken breast is done but the dark meat is still in the “danger zone” of rawness? Flattening the chicken helps both the white and dark meat to cook at the same time. Perfectly cooked and perfectly juicy. To prepare for this Dexter type of chicken dismemberment, one must be prepared…this is what how I got ready. Cutting board – use a non-porous cutting board, such as hard plastic. Easier to clean and to remove bacteria. Kitchen shears – these are heavy-duty shears. The shears used for scrapebooking will not work – trust me. Seriously, these could take off a finger of a cheating lover (evil grin). 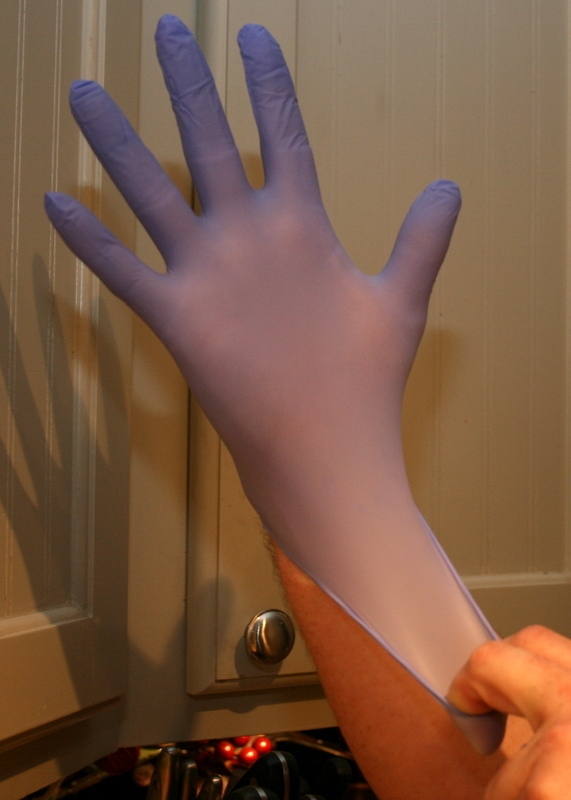 Rubber gloves – yep, rubber gloves. You can buy latex and powder-free at a drug store. Keeps hand disinfecting to a minimum. Let’s get this grossness going (deep breath). 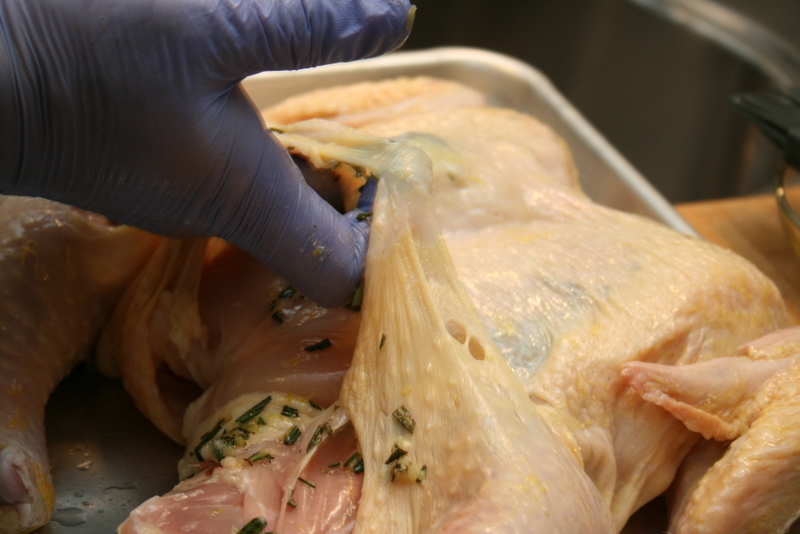 After donning your rubber gloves, rinse the chicken inside and out. 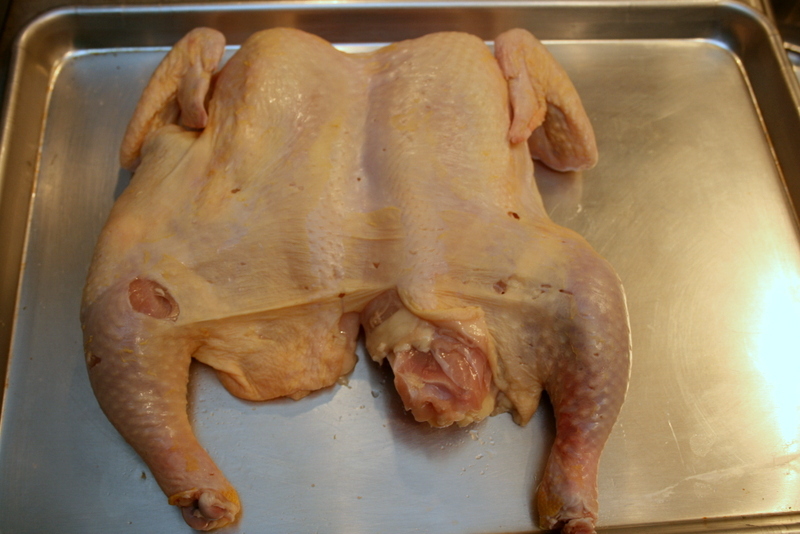 Then place the unsuspecting chicken on the cutting board, backbone side up. Pat the skin dry with a paper towel. 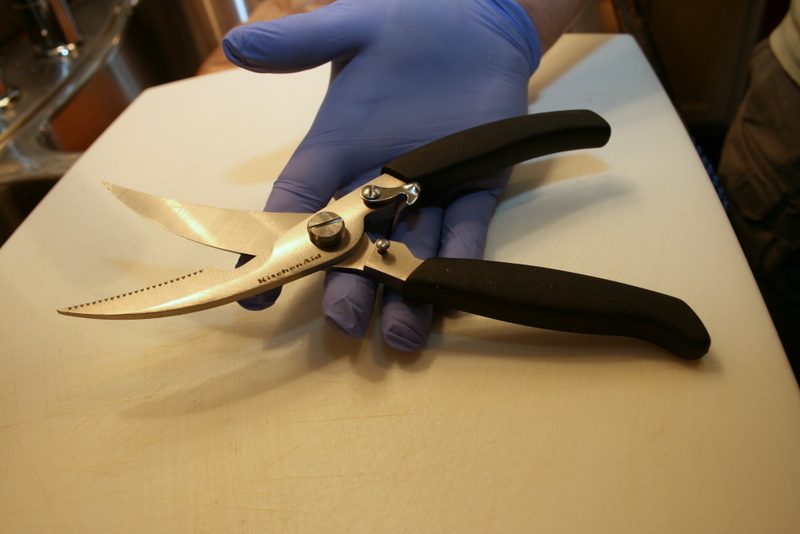 Using the implement of terror, I mean your kitchen shears, snip off any excess fat around neck or cavity opening. Speaking of cavity (gag) – be sure to check and make sure your chicken doesn’t have a giblet goodie bag or neck. If so, remove it. Using your fingers, find where the spine stops at cavity. Starting on one side of the spine, use some force and cut through the ribs and such. Do the same on the other side. When done you will have removed the chicken backbone. 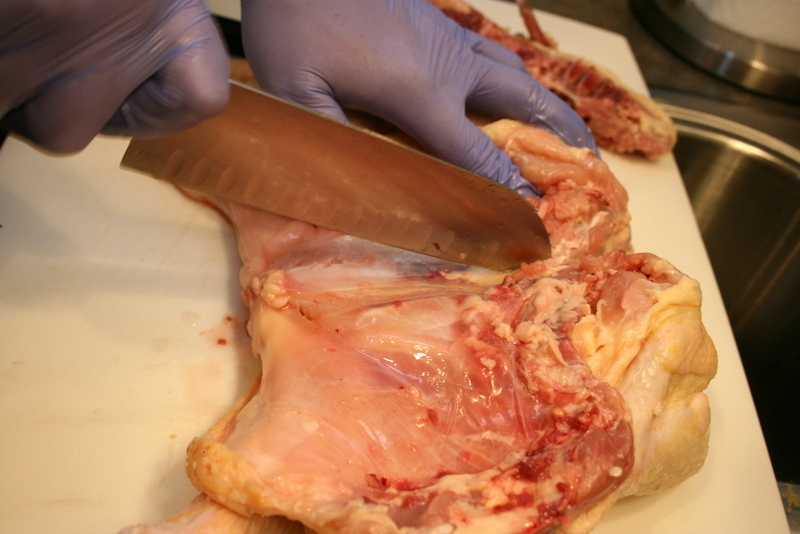 At this point (wiping sweat from my brow), open the cavity to expose the breast bone. 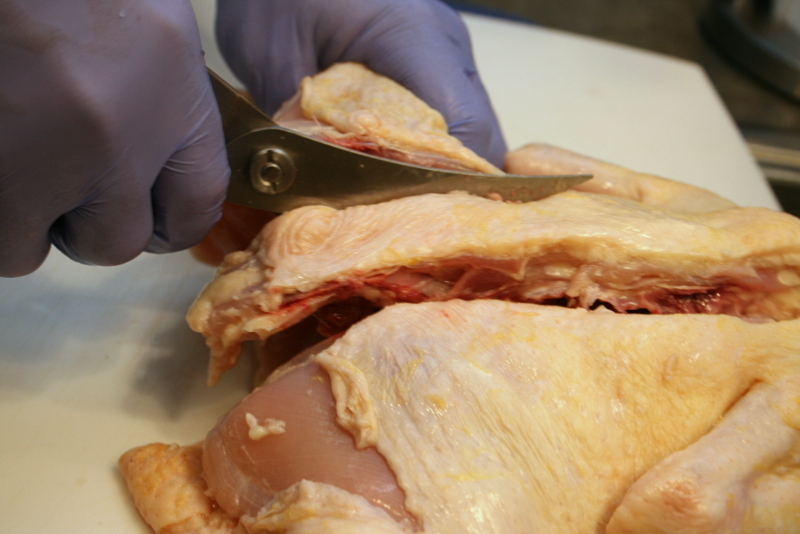 Using your knife, carefully cut through the cartilage so when spread the chicken will lay flat. 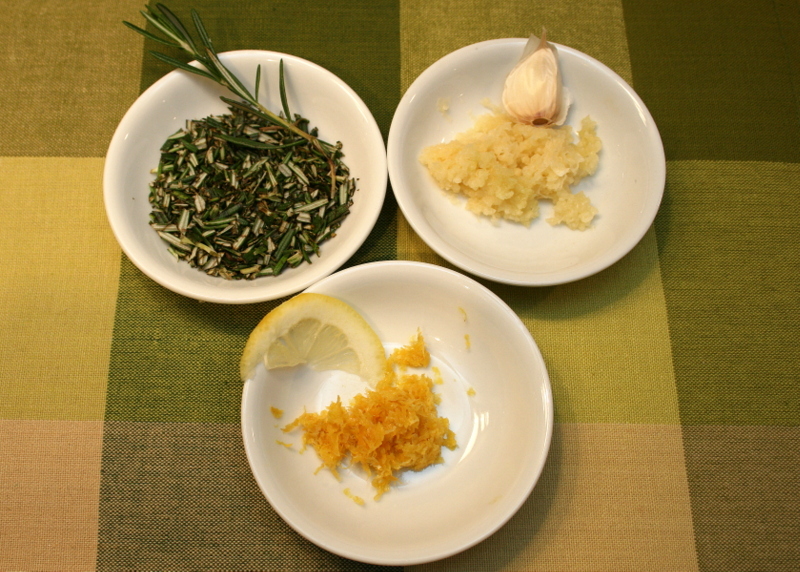 Combine your lemon, rosemary, garlic, salt and pepper with a little olive oil in a dish. Using your fingers, push half the mixture under the skin of the chicken. Use the other half of the mixture to rub on the other side (what was the chicken cavity). Brush the chicken skin with olive oil and sprinkle with salt and pepper. Preheat your grill – if using gas, one side of the grill should be on high and the other side on low. If using charcoal, make the fire on one side and when coals are ready spread some the to the cool side. Place the chicken, skin-side up, on the cool-side of the grill. 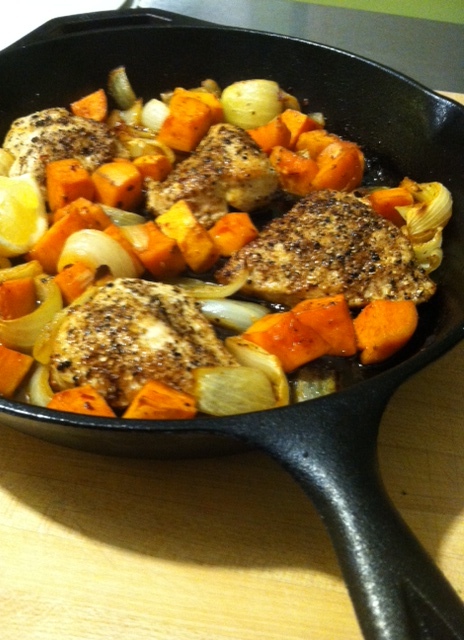 Use a cast iron skillet (covered in foil for easy clean up) or heat proof dish to weigh it down. Roast 15-20 minutes on each side. If you haven't shown that chicken enough harm, place a large weight on it. 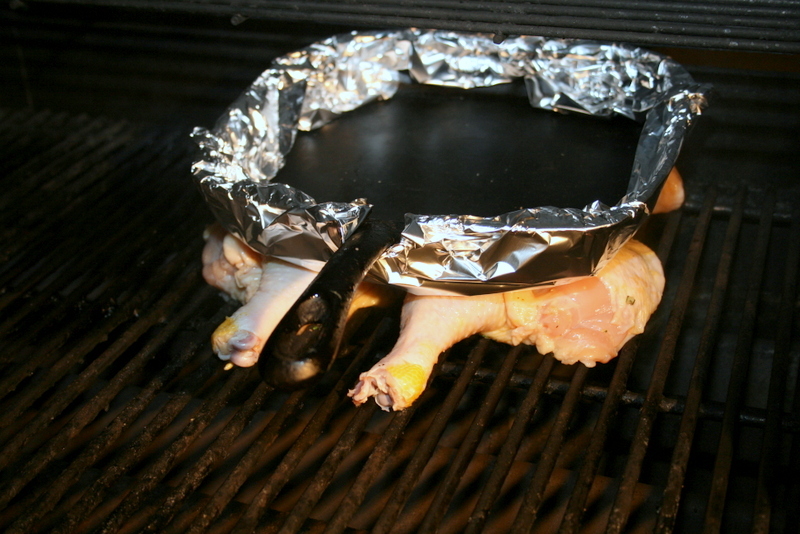 Remove from grill, cover with foil and let rest for 5-10 minutes. Cut and enjoy!